There’s no denying that technology is changing the way we communicate, socialise, and spend our free time. Today, Amazon tablets are more popular than ever before! And their universal appeal certainly shouldn’t be underestimated. 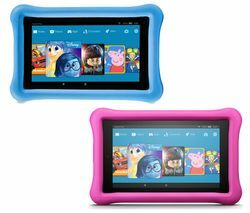 Popular amongst adults and children alike, today’s Amazon tablets offer an increasing number of features and applications. We offer an extensive range of tablets, giving you access to limitless amounts of content and millions of books and magazines at your fingertips. Our Amazon Tablet range will allow you to play games, access Apps, listen to music, enjoy audiobooks and news, and much more. 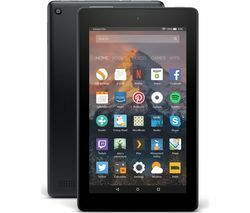 Featuring a wide range of different models that are suitable for both adults and children, all of the Amazon Tablets available in this range will allow you to read, listen, and explore endless content on the move, making them ideal for long car journeys, downtime, and holidays. We also offer a wide range of Android tablets and Apple iPads.